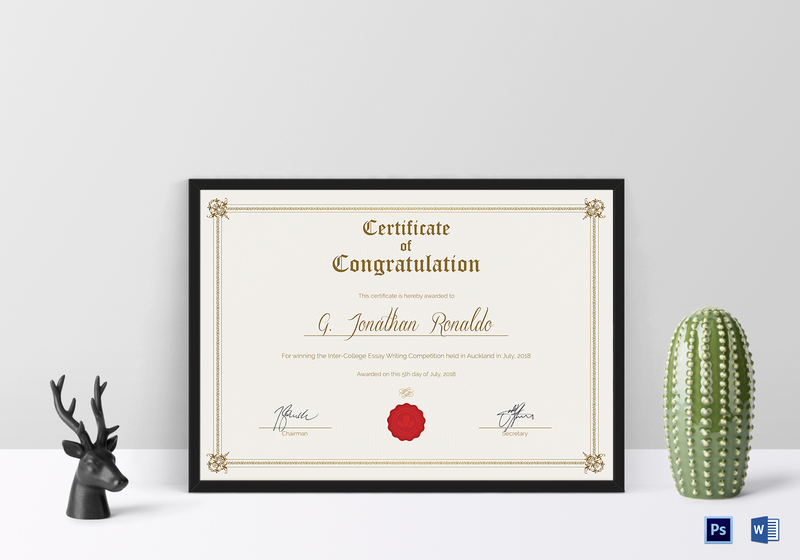 Here’s a General Format Congratulations Certificate that is perfect for any ceremony or event. Open and edit this easily editable template with any app or program that supports MS Word or Photoshop file formats. 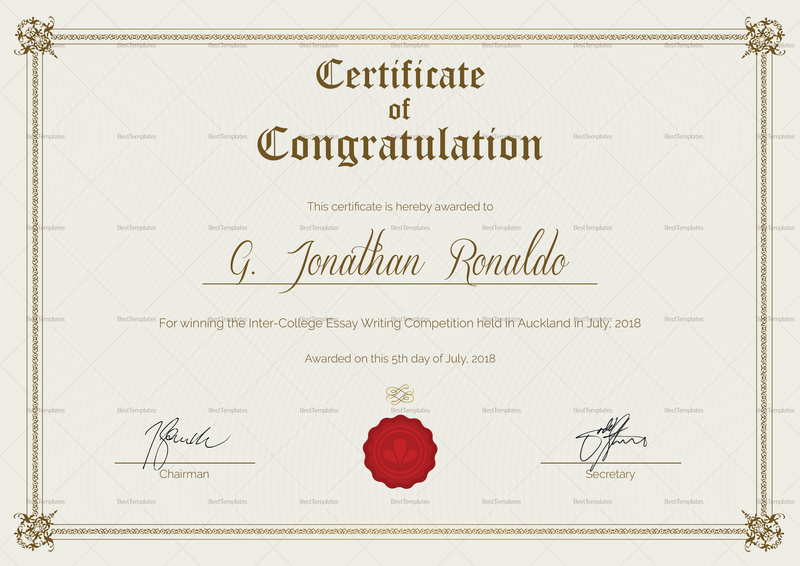 Create stunningly beautiful certificates from the fully customizable layouts and graphic files complete with standard fonts and license.